Bright pretty flat (built in 1994) in Victorian house in one of the prettiest neighborhoods in London. 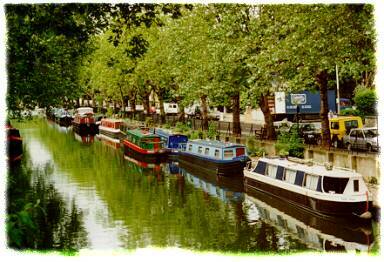 Renters can take a short tube or bus ride to major attractions of a wonderful city - or walk to charming shops, restaurants, and pubs nearby. Short walk to banks, post office, food stores - whatever you need. Beautiful quiet residential area in central London. Two minutes to tube, 12 minutes ride to West End. Full size sofa bed in living room. Each bedroom has generous closets and shelf space. Each bedroom has its own full bath. There is also a powder room off the foyer. There are 11 foot ceilings throughout. 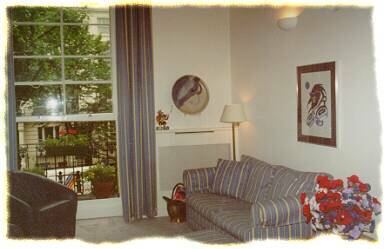 There is a floor to ceiling window in the living room and large windows throughout the condo. A dining area in the living room seats 6 people. The modern kitchen is fully equipped and has modern appliances. Excellent location for touring and sightseeing. Easy transportation to British Museum, Buckingham Palace, Hyde Par, zoo, Tower of London, National Gallery, etc. 12 minutes by tube to West End theaters. Walk to Regents Park. Public recreation park with gym, tennis courts, and playground a short walk away. "We got a very positive feeling when we first walked into the flat. The location, neighborhood, the bright light, the high ceilings, the size and quality of the furnishings all speak well for the flat." B. L.
"The area and apartment were everything you said ... we will call you again." W. M.
"We had a wonderful time here. Your flat was perfect. The neighborhood is charming and the public transportation couldn't be better. 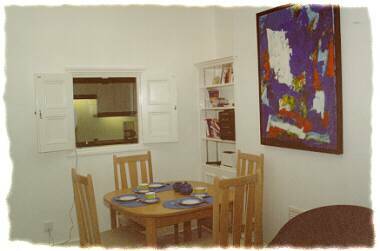 If we are able to return to London we will certainly contact you about the availability of your flat." P. R.